A hitchhiker is a person who asks a stranger for a ride in his or her car. Hitchhiking is believed to be a dangerous activity, and that is how it is often portrayed in the media. 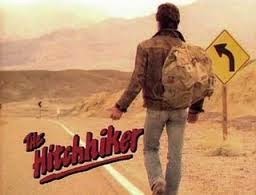 However, one thing is certain: hitchhiking is a major pastime of characters on cult-TV programs, and it was considered -- at least by Saturday morning TV of the 1970s -- a major social issue. Perhaps the most famous story of hitchhiking came to us via the auspices of The Twilight Zone (1959 - 1964). In "The Hitchhiker," Nan Adams (Inger Stevens) is on a cross-country trip when she keeps seeing the same hitchhiker on the road, over and over again. The hitchhiker's identity? Death. In One Step Beyond's (1959 - 1961) "If You See Sally," a hitchhiker never quite makes it home to her house, for terrifying reasons. 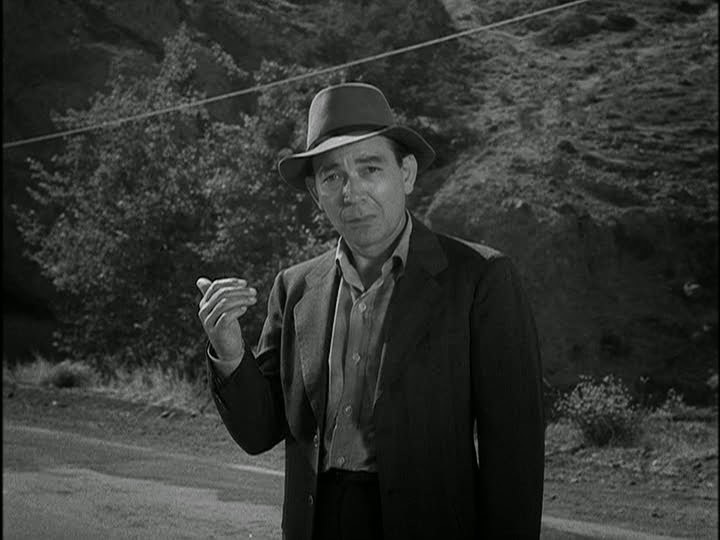 And Alfred Hitchcock Presents also featured a tale called "Hitch-hike." 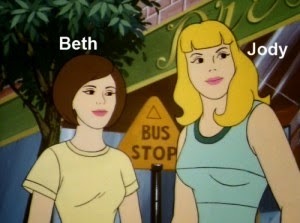 In The Secrets of Isis (1975 - 1976), the great Isis (Joanna Cameron) once had to intervene to save a girl named Hope from a hitchhiker and an out-of-control driver. In the same spirit, the Wonder Twins on The All-New Super Friend's Hour (1977-1978) had to save a girl abducted by a hitchhiker in "Hitchhike." 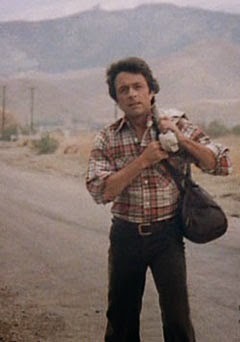 By contrast, the hulk's alter ego, David Banner (Bill Bixby) was often depicted on The Incredible Hulk (1978 - 1981) bumming a ride from strangers. In the early 1980s, a horror anthology called The Hitchhiker (1983 - 1987) presented terrifying tales told by a hitchhiking narrator, first Nicholas Campbell and later Page Fletcher. Oddly, I am not aware of any general history of hitchhiking in the United States, despite the great interest of the topic. It would be fascinating to trace the decline of hitch-hiking as a socially acceptable activity in relation to the frequently negative movie and television portrayals of it.